Welcome to the Five Points Yoga web store! Each audio yoga class below comes with a PDF file of pictures of the asanas (yoga postures). 13 minutes. This is a great warmup to start your day, which is the traditional intent of Surya Namaskara (Sun Salutes). This podcast breaks down some of the common problem areas of a sun salute, and then adds some challenging variations at the end. 21 minutes. In this gentle practice, you will find all the layers of your center, not just the abs. Side and back strength factor into this practice, which is entirely on the ground. This 30-minute active practice builds leg strength and stretch, as well as some general sweat! From the October 2009 Yoga Odyssey. Includes Utkatasana, Anjeyanasana, and deep stretches like Janu Sirsasana. Join Barrett on a 40-minute journey into your pregnancy. 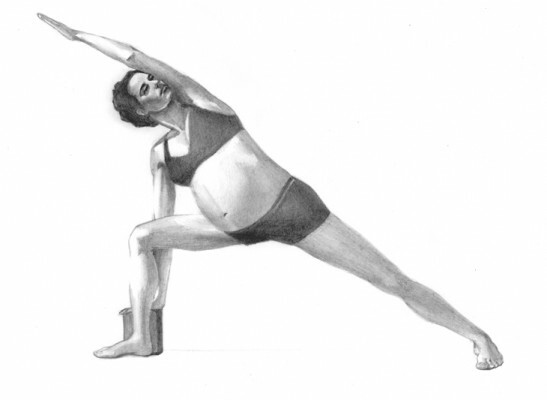 Full of strong and stretchy asanas, perfect for all 3 trimesters. Take it slow if you’re new to yoga! September 29-October 2, 2018. 40 hour teacher training in Cambridge, MA. 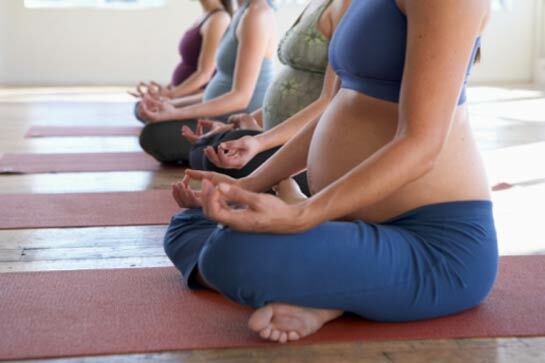 This training offers yoga teachers a comprehensive course in how to teach prenatal yoga to all pregnant women. $675 early registration price good through August 29. Refunds less a $75 processing fee. No refunds less than 30 days in advance. For more information, see the Prenatal Teacher Training page. October 27-30, 2018. 40 hour teacher training in Cambridge, MA. Prerequisite: you must take Level 1 first. This training finishes the full teacher training requirements for Yoga Alliance. $675 early registration price good through September 27. Refunds less a $75 processing fee. No refunds less than 30 days in advance. September 29 – October 2 and October 27-30, 2018. Full Yoga Alliance training in Cambridge, MA. If taking both trainings, pay here for discount of $1300. For more information, see the Prenatal Teacher Training page. Refunds less a $75 processing fee. No refunds less than 30 days in advance.